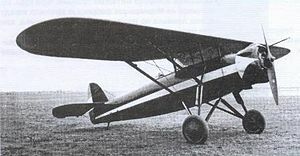 The Rogozarski SIM-XI was a 1938s Yugoslav Aircraft for training pilots in aerobatics, one-engined, with one crew members. It was designed and built at the Rogožarski factory in Belgrade. 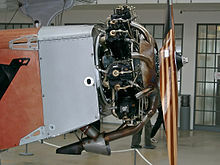 When examining the aircraft observed SIM-X is that it has characteristics very close acrobatic plane, so the factory management decided to make Rogožarski some modifications (installation of more powerful engines with a carburetor for a special flight back, the lower reinforcement knstrukcije, reducing the wing surface and compensator wings) and make acrobatic plane. Ing. Sima Milutinovic was conducted during 1937. The necessary changes and at the end of the prototype was ready for testing. The test flight was conducted by factory test pilot Captain Milan Bjelanovic. By the end of January 1938. The tests were carried out and the factory to 12. March and tests in a Experiment group of Commands YAF-Yugoslav Royal Air Force. The plane got excellent grades and Command YAF prototype bought SIM-XI, who remained within the Experiment group. Thus was created the first Yugoslav aerobatic aircraft that was named Rogožarski SIM-XI. Aircraft SIM-XI, was high monoplane (parasol), with the single-engine Siemens (Bram) Sh14a 150 hp, which had a special carburetor for the long flight back, the mostly wooden structure, body elliptical cross-section is entirely made of wood covered with plywood, and the wings are supporting structure of wood covered with cloth, with rounded ends. On each side, the wings are supported by a pair of inclined struts which relied on the fuselage. It had two fuel tanks one was located in the central part between the wings that is, at their junction, and the other in the body of the aircraft. The tank in the trunk filled with aerobatics and for flying normally only filled the tank in her lap. Both tanks were filled with flights when it was needed to achieve longer range. Landing gear was fixed, completely made of steel tubes and characterized by great strength which enabled a plane landing at the very rugged terrain. Factory Rogožarski made this plane in order to preserve resources in a standard aircraft weapons and YAF to keep pilots in aerobatics training on cheap planes without affecting the quality and trenaže. Command of YAF had access to otherwise advocating the view that for this purpose very well may serve standard auto and aircraft to train fighter pilots training PVT and R-100, of which some carbs to get the flight back. It is therefore not achieved mass production of aircraft SIM-XI. During the first international aviation exhibition in Belgrade, the SIM-XI performed a series of highly acclaimed akrobaskih flights, confirming the fact that it belonged to a group of the best aerobatic aircraft of his time, which was used primarily to honor its constructor Ing. S. Milutinovic, Factory Rogožđarski and Yugoslav aviation. During the April war only SIM-XI plane fell into the hands of the Germans and they handed him over to his allies the Croats (ISC) where he carried the number 7351. They used it to 19 December 1943rd , the towing boat, until they destroyed the partisans between villages Progar and Boljevci when Croatian pilot landed the hook and wacky boat lift. Gunston, Bill (1989). World Encyclopaedia of Aero Engines (2 ed.). Wellingborough: Patrick Stephens Ltd. p. 95. ISBN 1-85260-163-9. Das Flugzeug-Archiv (in (German)). Schulflugzeug Rogozarski SIM-X. Encyclopedia of World Aircraft (in (English)). Prospero Books. ISBN 1-8941-0224-X. Mikić, Vojislav V. (2000) (in (Serbian)). Zrakoplovstvo Nezavisne Države Hrvatske 1941 - 1945. Beograd: Vojno istorijski institut Vojske Jugoslavije i Target. ID=72669708.